In 1835, Companies B, H, and I of the United States Dragoons, under the command of Lieutenant-Colonel Stephen W. Kearney, came through Freeborn County. One of the members of the expedition was Lieutenant Albert Miller Lea, topographer. Lieutenant Lea sketched the outline of the lake that he named “Fox Lake”. Joseph Nicollet later renamed the lake, Lake Albert Lea. In 1855, a small settlement began on the northwest edge of the lake and the town became known as Albert Lea, named after the lake—which was named in honor of Lieutenant Albert Lea. 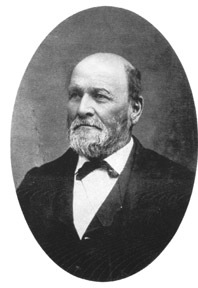 “Until May 11, 1858, the village had no local government, but at that time the citizens of Albert Lea township perfected a town government for the village of Albert Lea, electing a village board of supervisors with Dr. A. C. Wedge as chairman. With the growth of the village, however, problems were encountered…” (Tribune, p.11) The need for local city government became apparent. According to the federal census of 1860, the population of Albert Lea village and township was 262. By 1880, the city of Albert Lea’s population was 1,966 individuals. From a modest beginning, Albert Lea grew into a flourishing village. Curtiss-Wedge, Franklyn, History of Freeborn County, Minnesota. Chicago, IL: H.C. Cooper, Jr. & Co., 1911. “Exemplifying Progressive Albert Lea,” The Evening Tribune, Albert Lea, MN. Vol. XV, No. 147, May 21, 1912. Freeborn County Historical & Genealogical Societies, Freeborn County Heritage, Dallas, TX: Taylor Publishing Co., 1988. Neill, Edward D, History of Freeborn County. Minneapolis: Minnesota Historical Company, 1882.